Let us take a leap back in time to rediscover the glorious past of Honduras with a visit to the private island of Maya Key. This island offers all we could expect from a tropical paradise and much more: from evocative reconstructions of ruins to the warm waters of Bay Island that are perfect for snorkeling. A perfect excursion for those who want to combine adventure with relaxation! We leave the port by motorboat and, after a short journey, we reach Maya Key. 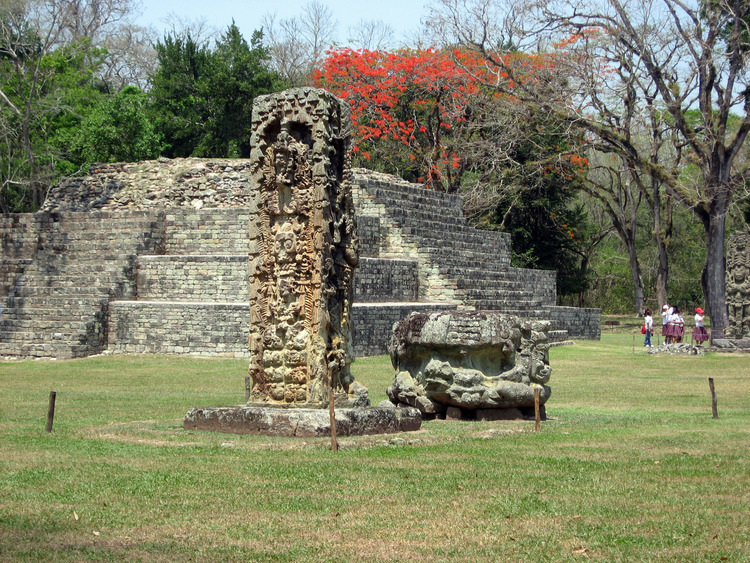 When we arrive at our destination, whoever wishes to visit the splendid Copan Ruins can do so. This location was known as the "Paris of Mesoamerica", because it was a centre of excellence for Art and the Humanities for a long time. Nature lovers can visit the Animal Sanctuary and the Rescue Center to see the animals that are looked after there, including jaguars, ocelots, margays, reptiles, parrots, monkeys and exotic birds. The more adventurous guests can hire a kit on site to go snorkeling at the nearby coral reef, while the lazier ones can take refuge in the shade of the coconut trees on the small beach of Maya Kay and enjoy a delicious poolside buffet after a couple of hours relaxing in the sun. Those who wish can shop for wonderful arts and crafts creations at the Artisan Plaza or visit Tonina's Gift Shop for a souvenir of Maya Key to take home. This excursion does not include a guide. Local guides are available on the island who will accompany guests to the replicas of the Maya ruins at appointed times, providing brief explanations in English. The times are displayed on the boards at the entrance. It is the responsibility of guests to check the visit times. The island provides a range of activities not included as part of the excursion, in which guests can participate subject to availability and upon payment on-site. We recommend bringing change with you as not all stores accept credit cards.